I’m hoping each of you came away from our very first Nurture Her retreat feeling just as I do. Inspired, energised with the realisation I belong to an amazing community of female innovators and business leaders. Everyone from family, friends and acquaintances tell us how lonely success can be, that as leaders in business we need to accept our lot. I’m calling bull$@#* on this! Spending time in Fiji gave me what I’ve needed all along – each and every one of you! I have found my tribe – women who are daring, innovative and courageous. I listened to your stories and learned so much about you and myself – realising we were sharing the same story: stepping up to set up our companies, armed with the inner belief maybe this might fly, only to watch it soar. As the week progressed the importance of sharing our journey became tenfold, understanding the very real and important contribution we make to our communities and that we’re all in this together. However, we have to take care of ourselves and each other to sustain the dream. Nurture Her showed celebration was more than poppin’ bottles. It’s the re-telling of hard yards made and won, knowledge gained through trial and error and most importantly sharing that knowledge. Our time together in Fiji made me appreciate the enormity of what we each do and that there were so many wonderful reasons to celebrate… and for some, it was the first time you allowed yourself to celebrate. Yasssss! I’m at my desk, laptop open looking at my schedule with an impossible task list to clear before Christmas. I’m not daunted though, I’m thinking of each and every one of you, knowing you’re doing exactly the same. The image of your faces is all the inspiration I need to get into my day. Thank you for an incredible week, for allowing me to celebrate your journey and for also celebrating mine. We’ve created something truly special and I can’t wait to do it all again. What can i say , to say i was inspired is an understatement. I was truly moved during those few days in fiji. To have a wonderful friend walk this journey with me and bond with each other was magic on its own, While i never got to meet everyone i felt everyone was there for the right reason. Everyone of us have a story to be told ” your life is your story write it well and edit it after ” . Having those few days with like minded woman and men also resonated with me to not be pushed by our problems but to be led by our dreams. My greatest pleasure in life is doing and achieving what people say you cannot be or do. So my take home message from fiji was surround yourself with people who see value and remind you of it, don’t look back and ask why but look ahead and SAY WHY NOT! Reach out and ask for help share our experience and wealth of knowledge. BULA xoxo miss you all. Thank you for sharing your thoughts Sip, you articulate the experience perfectly. I couldn’t agree more. I finally have a sea of faces and people I can visualise, pulling the hard yards, every day. I held onto their presence this week as I came back to one of the fullest weeks in my calendar. It’s damn encouraging knowing there’s an incredible group of women out there right across Australia and NZ contributing a massive amount every day and that you’re not alone. 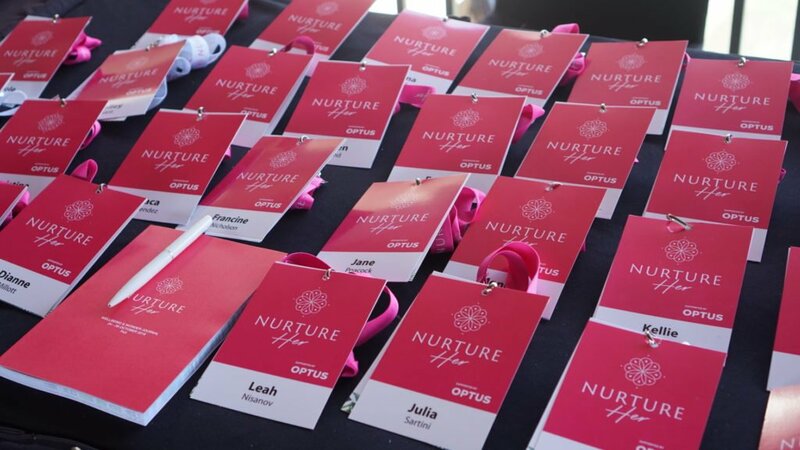 I’m so pleased to have been part of Nurture Her – what an amazing community to have connected with. Thank you for your great reflection. I love your post and as I wrestle with my to do list as well I too remember the other women #hustlin’ out there. The key thing Nurture Her validated for me was that there are a whole lot of super cool women out there being brave and creating their own future and now I’ve experienced that it does feel less like I’m working in isolation. We have so much we can share with each other and its so important to remember that someone has walked the path before you and that’s really awesome because we can learn from that. And in turn, share with those who are following us.